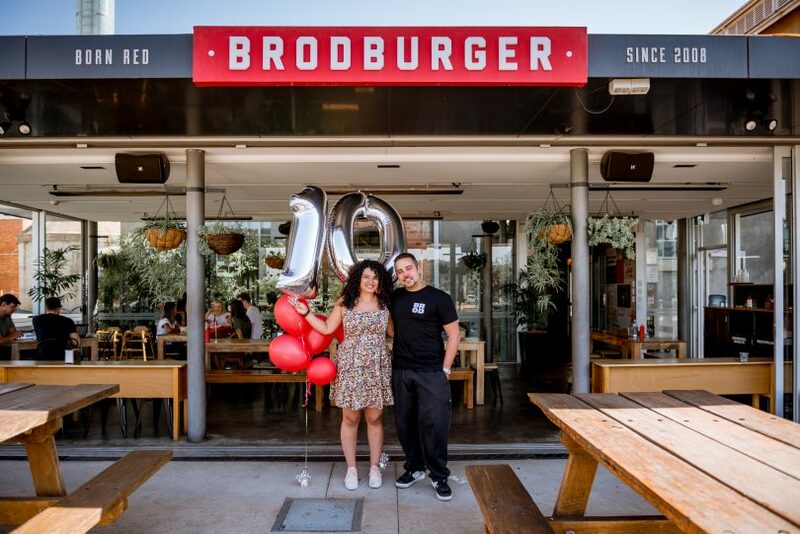 Brodburger is celebrating their 10th birthday by giving away free burgers! Brodburger is giving away free burgers! Photos: Supplied. 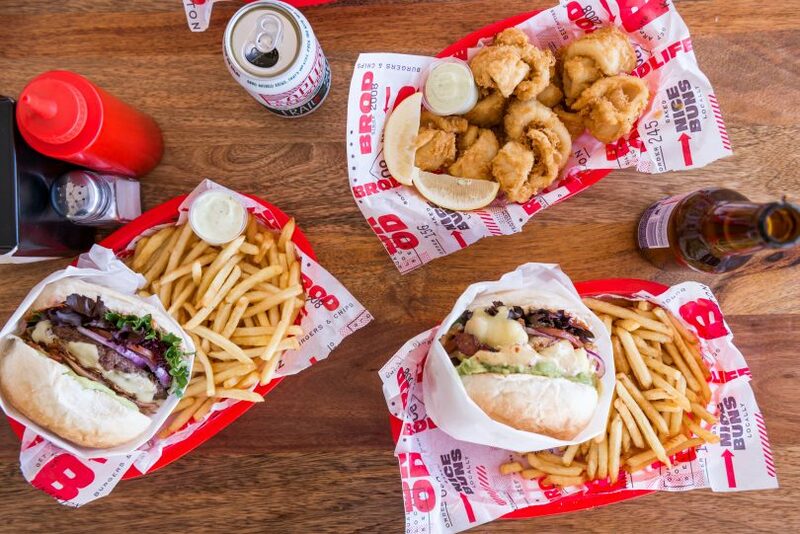 From humble beginnings as Canberra’s original and beloved food truck selling delicious burgers out of their little red van in Bowen Park, Brodburger has grown in the past 10 years to now have two popular locations. One is on the premises of Capital Brewing Co in Fyshwick and the other is at Kingston Foreshore at Canberra Glassworks. As a way to say thank you to Canberra for supporting them over the last 10 years, Brodburger will be hosting an epic birthday party on Saturday 30 March to celebrate! The milestone birthday will be held at their Kingston location and involve three hours of free burgers, live entertainment including bands, performers and DJs, lawn games, a photo booth, and a scavenger hunt with plenty of prizes. Celebrations will kick off at their Kingston venue at 5 pm. The scavenger hunt will kick off at 3 pm and finish at 5 pm at the Glassworks, just in time for the three hours of free burgers beginning at 5:30 pm. Brodburger co-owner Joelle Bou-Jaude and Sascha Brodbeck. 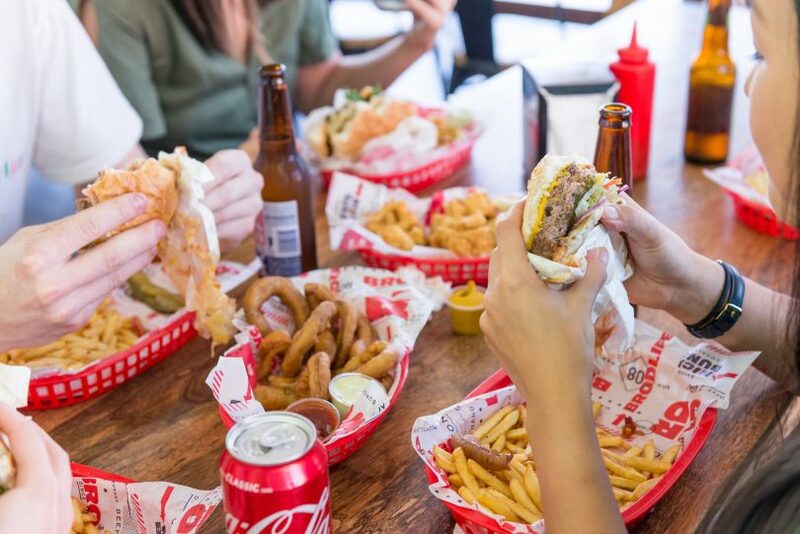 “The Canberra community has shown us constant support since we first opened our caravan in 2009, where customers would wait for up to two hours for a burger,” co-owner, Sascha Brodbeck explains. “Luckily, we have expanded to more locations, so our wait times are nowhere near as long, but we still owe so much to our loyal customers. They are the reason our business has been able to expand and flourish over the years. Their support has helped us overcome many challenges and get to where we are today,” adds Sascha. Brodburger’s 10th birthday party will indeed have a community focus, embracing and showcasing local suppliers, talent and other community members to help bring the event together. “We’re all about supporting local as supporting local is what has built the Brodburger brand,” Joelle explains. “Canberra Glassworks will also open to the public on the night while glass artist, Annette Blair, creates two amazing glass Brodburgers! One of these will be raffled off on the night, with proceeds going towards all charities involved,” adds Joelle. The event will also raise funds for local charities, with customers on the day encouraged to make a donation in return for the free food and entertainment on offer. Mouth-watering burgers to mark 10 years. Original Article published by Sophia Brady on the RiotACT. This entry was posted in Food & Drink and tagged Brodburger, Burgers. Bookmark the permalink. A Nightmare on Elder Street… Beware the Hipster Apocalypse!